Failure event reason="Parameter validation failed: parameter value mycredentials for parameter name KeyName does not exist. Rollback requested by user." resourceType="AWS::CloudFormation::Stack"
S3 bucket - repository/tag: invalid reference format. I am unable to backup docker volume to S3. Trying to run the docker command. docker: Error parsing reference: " S3_BUCKET=33222a9e09" is not a valid repository/tag: invalid reference format. docker: Error parsing reference: "S3_BUCKET=hfghdgfhjdf" is not a valid repository/tag: invalid reference format. Your Auto Scaling policy ScaleOutPolicy could not be found at this time. Please try reselecting this alarm. If the policy does not exist you may modify this alarm to set up a valid action. These provides overall balance of Ram, CPU and provide burstable performance. IOP starts from 100 and upto 3000. It is meant for hude traffic. It is for large datawarehouse. It is for Memcached and enterprise apps. It is for general-purpose GPU compute applications,graphics-intensive applications and FPGAs. I am unable to run docker without sudo. Still i am unable to run without sudo. docker Cannot connect to the Docker daemon at unix:///var/run/docker.sock. Is the docker daemon running? Generating CONFIGPROXY_AUTH_TOKEN. Restarting the Hub will require restarting the proxy. Set CONFIGPROXY_AUTH_TOKEN env or JupyterHub.proxy_auth_token config to avoid this message. [W 2017-08-07 18:36:18.579 JupyterHub app:864] No admin users, admin interface will be unavailable. [W 2017-08-07 18:36:18.580 JupyterHub app:865] Add any administrative users to `c.Authenticator.admin_users` in config. [I 2017-08-07 18:36:18.580 JupyterHub app:892] Not using whitelist. Any authenticated user will be allowed. Need to get 3218 kB of archives. Selecting previously unselected package libuv1:amd64. 0 upgraded, 102 newly installed, 0 to remove and 23 not upgraded. Need to get 47.7 MB of archives. Selecting previously unselected package node-osenv. Selecting previously unselected package node-tunnel-agent. Selecting previously unselected package node-json-stringify-safe. Selecting previously unselected package node-qs. Selecting previously unselected package node-request. Selecting previously unselected package node-semver. Selecting previously unselected package node-tar. Selecting previously unselected package node-which. Selecting previously unselected package node-gyp. Selecting previously unselected package node-ini. Selecting previously unselected package node-lockfile. Selecting previously unselected package node-mute-stream. Selecting previously unselected package node-normalize-package-data. Selecting previously unselected package node-read. Selecting previously unselected package node-read-package-json. Selecting previously unselected package node-retry. The program 'docker' is currently not installed. 0 upgraded, 6 newly installed, 0 to remove and 22 not upgraded. Permissions 0644 for 'test.pem' are too open. It is an object modeling tool for nodejs that connects MongoDB.Mongoose take the models and maps them to MongoDB database. /* with callback */ create a connection object and bind two callabcks. 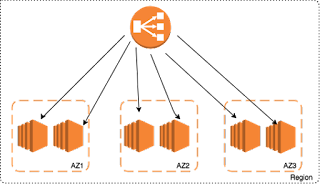 Elastic Load Balancing automatically distributes the incoming application traffic across multiple was ec2 instances. It is in-region load balancing service and distributed traffic across multiple availability zones -HTTP/S, TCP/S. MongoDB is document based database. Relational databases uses tables to store data. MongoDB stores data as document format uses collection. It is NoSql type database. Collections are represented as JSON format.